The distinguished Kevin Anderson joins the Bullseye to discuss the dilapidated state of the Beloved Bulls. This episode was recorded shortly after the news of the Portis injury. 7:11 Who Won the Butler Trade? 11:40 Are the Bulls a Playoff Caliber Team in 4-6 weeks? 37:26 What order do you recommend viewing the Star Wars Films? See Red Fred @cbefred and the Great One Doug Thonus @doug_thonus discuss the Bulls first 3 games. Recorded shortly after the 3rd loss in Dallas, Fred and Doug discuss the young season. The Fred Hoiberg decision to bench Jabari Parker for Bobby Portis was declared a victory after one preseason game. The Bulls dominated Indiana, primarily due to Holiday actually showing a pulse, although WCJ’s start brought a massive upgrade to the Center position, and Portis played well. The Denver game was not dissected to the same degree, probably because it countered the Bulls Twitter narrative of Fred’s brilliant decision. Denver dominated our starters (only WCJ posted a positive +-), Portis was consistently exposed by Milsap, and Bobby produced a team low plus minus of -19 in 18 minutes. 1. Jabari was benched after three unusually bad shooting games. (5-14 vs NOP, 1-12 vs MIL & 3-11 vs CHA) In 4 seasons, Parker has posted FG percentages of 49, 49.3, 49, 48.2. He has been remarkably consistent with his shot. I believe his poor shooting was the primary impetus for sending him to the bench, although the strong play of Portis clearly was a factor. Regardless, Hoiberg employed the same tactic with Niko in the 2016-17 season and Zipsuck last year, but both had a much larger sample size. It was a move of panic and desperation due to the discouraging nature of the losses (the Bulls were thoroughly dominated by MIL and CHA), when I felt the wretched play of Holiday and Lopez was the far greater problem. Regardless, Parker’s solid performance vs Denver (game high 19 points in 31 min and a team high +13) is being used as proof that Fred’s decision was correct when in fact, it was just Jabari’s progression to the mean. 2. Although neither player will ever achieve greatness on the defensive end, Parker is the superior defender at the 4 to Portis. Despite the 2 ACL injuries, Jabari maintains a considerable advantage in athletic ability. I love Portis on the offensive end, but he’s always been an awful defender. I saw more solid defense in one playoff series (2018 Mil-Celtics) from Parker than I did from Portis in his entire career. Even my nemesis and rabid Parker Hater @mkhoops was forced to acknowledge solid Parker defense at the PF position: https://twitter.com/mkhoops/status/1050689803262484480?s=21 Lost in the joy of Fred’s decision was the awful defense from Portis in the Denver game, reflected in his team low +- of -19. I actually feel Parker is slightly above average defensively at the 4, & most of his defensive problems occur against specific small forward matchups. I’ll address this in a future article. 3. Parker is the superior 3 point shooter. In 3 seasons, Portis has never hit the 36.5% and 38.3% percentages Parker posted in his last 2 seasons. This skill is imperative for the Bulls to succeed. Portis has looked best in the post this preseason. It’s a great skill for the second unit, but for LaVine and Dunn to be at their best (attacking the hoop), we need the opponent’s 4 pulled away from the rim. Jabari’s presence will accomplish this, but Portis won’t. As an aside, Bobby shot a disappointing 5-19 from 3 in the preseason (26%). 4. Parker is a far better passer than Portis. In 5 preseason games, Portis delivered 4 assists. Jabari had 4 assists in the Denver game alone, 13 overall in the preseason. Passing is the most underrated part of Parker’s game. In a starting lineup w/ LaVine as the primary scorer and Holiday as the primary chucker, why would you prefer to add a “shoot first” player like Portis with no ability to facilitate? 5. Portis has already embraced the role of 6th Man. https://www.dailyherald.com/sports/20180925/portis-happy-to-concede-starting-role-focus-on-being-sixth-man “I like the (sixth-man) role,” Portis said. “I get to come off the bench and score a lot. Who doesn’t like to score the ball? That’s a fun gig. Coach has trust in me to shoot the shots I want to shoot. It’s a fun gig to have.” From the Mike McGraw article referenced above. Parker clearly prefers to start. Fred has created a controversy this team didn’t need. I was 100% in favor of starting WCJ over Lopez. Lopez was a trainwreck all preseason, providing little benefit on either end of the court, despite being intimately familiar with the offense and most of his teammates. Expecting Parker to be comfortable w/ a new set of teammates and a new offense is absurd. I met John Paxson before Friday’s Denver game, and asked him “What it your decision to bench Jabari or Fred’s decision?” He said without hesitation, that it was Fred’s, and that he supported it. He did feel Parker was trying to do too much, and that he would play better. I agree with his latter points, but I disagree with the benching. For the optimal performance of this team, Portis is suited as the scoring force with the 2nd unit. I know Parker is talented enough to succeed in any role. For the good of team, I hope Fred rectifies this decision soon, but I have no faith that he will. Is SRF guilty of overrating Bulls players? Can the Bulls win 40? What are your issues with Advanced Analytics? Do you feel less-more teams will be tanking? Please explain the 2012 Rose minutes issue that Matt Peck did not want to discuss? See Red Fred @cbefred and Keith Frantz @bullscripted debate the pros and cons of the Jabari Parker signing. Basketball Historian Tim Gallagher and @BullScripted Keith Frantz join the Bullseye to discuss the draft rumors and provide their top 7. See Red Fred moderates. Part 2 of the Indomitable Kevin “Bulldog” Anderson of NBC Sports Chicago joins the Bullseye for a wide-ranging interview on the NBA and the Beloved Bulls. At the 20-ish minute mark, @BullScripted stops by for some more draft talk. The Indomitable Kevin “Bulldog” Anderson of NBC Sports Chicago joins the Bullseye for a wide-ranging interview on the NBA and the Beloved Bulls. See Red Fred @cbefred and Keith Frantz @BullScripted begin the show with a discussion of the first 2 games of the Finals, and Lebron’s future destination. Fred describes the gravity of Korver, and how he can positively impact a game by just standing on the floor. Keith waxes poetic about Bamba’s sprinting. Fred-Keith discuss T. Young vs Sexton. See Red Fred @cbefred is joined by Basketball Historian Tim Gallagher and NBA Analytics Expert Grant Goodstein @grantgoodstein. They break down game 1 of the Finals. Grant also provides his comments on some of the likely Bulls draft picks, including Mo Bamba and Michael Porter Jr.
See Red Fred @cbefred and Bulls Podcasting Legend Doug Thonus @doug_thonus discuss Bulls potential draft picks at 7, trading with the Clippers, Lauri’s First Team All-Rookie Achievement, and the NBA Playoffs. Recorded Sunday before the Celtics-Cavs game. The legendary Mark Karantzoulis of BullsHQ joins the Chicago Bullseye for a friendly debate with See Red Fred @cbefred. The Bulls likely draft prospects at #7 are discussed, along with a more in-depth analysis of Mo Bamba. See Red Fred @cbefred & Keith Frantz @bullscripted discuss the late prospects that may be available to Bulls with their 2nd pick in round 1. They also continue the debate regarding Mo Bamba. See Red Fred @cbefred and Podcasting legend Doug Thonus @doug_thonus open up the Big Red Mailbag in their latest ride on the Big Red Bus. See Red Fred @cbefred & Basketball Historian Tim Gallagher interview Dr. Bob Greczanik about his time in the NBA and his work with a number of NBA athletes. Dr. Robert Greczanik is a licensed Acupuncturist specializing in Sports Medicine and Energy Medicine. For the past twenty years, he has been serving athletes of all levels in achieving peak performance, injury prevention and rapid recovery. He has worked with organizations and athletes from the: Seattle Seahawks, Seattle Sounders, Detroit Pistons, Memphis Grizzlies, Sacramento Kings, Los Angeles Clippers, Portland Trailblazers, Philadelphia 76ers, Milwaukee Bucks, Chicago Bears, New England Patriots, Cincinnati Bengals, Dallas Cowboys, Cleveland Browns, Seattle Mariners, San Diego Padres, Philadelphia Phillies Roma Soccer, University of Washington Football, Soccer, Track and Field, the US Women’s Soccer team, and many individual Professional, College and Olympic Athletes. Dr. Bob joined the Bullseye to discuss a wide variety of topics, including his work with Michael Porter Jr. and Zach LaVine. See Red Fred @cbefred and Keith Frantz @bullscripted talk playoffs, and discuss what might have been if Derrick Rose did not tear his ACL in 2012. The Big Red Bus #10 – Trade for Kawhi or Keep the Pick? See Red Fred @cbefred and Podcasting legend Doug Thonus @doug_thonus start off the show answering the big question: If the Bulls win the lottery, would you trade that pick for Kawhi Leonard? See Red Fred @cbefred and Keith Frantz @BullScripted run through the roster and rank each Bull positively or negatively, Bulls Horns Up or Bulls Horns Down. They also debate whether or not the Bulls should explore a trade for Kawhi. 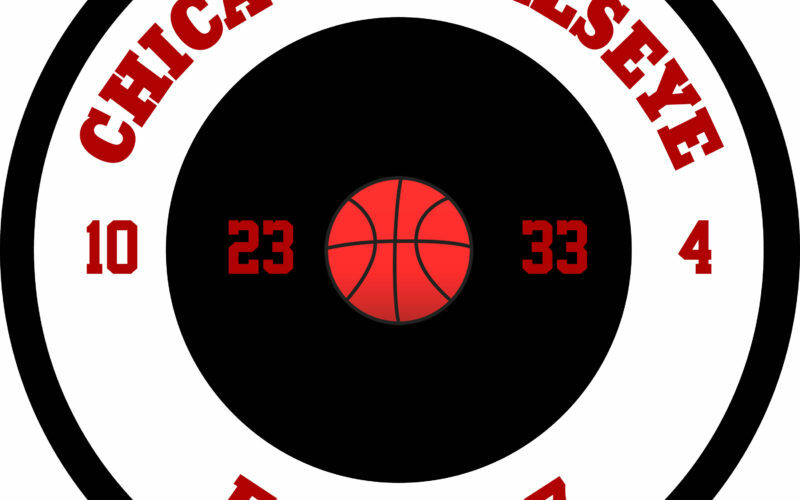 Basketball Historian Tim Gallagher joins the Chicago Bullseye to provide his Playoff Predictions. (Recorded Friday, April 13, 2018). Tim has been stunningly accurate in his past predictions. See Red Fred @cbefred moderates and provides his prediction for a new NBA champion. See Red Fred @cbefred & Keith Frantz @bullscripted discuss all options for the remaining games. It’s a 2-Part Episode, with an intro recorded on Sunday and the 2nd half recorded on Friday. Basketball Historian Tim Gallagher Joins the Chicago Bullseye to discuss the NCAA Tournament and his take on the top 10 Prospects. See Red Fred moderates. See Red Fred @cbefred & Keith Frantz @BullScripted discuss the improving chances for a better draft position, the NCAA Tournament and the prospects still playing, & Zach Lavine’s Future. How much would you sign him for? See Red Fred @cbefred & Bulls Podcasting Legend @doug_thonus discuss the Bulls tie-in to the Loyola Ramblers, Cam Payne, and how much should the Bulls should pay to sign David Nwaba. Doug provides an extensive overview of the only teams that could potentially offer a max deal for LaVine, and the show ends with an extensive conversation on how much the Bulls should offer Zach LaVine. The Big Red Bus #7 – Our First Passenger! 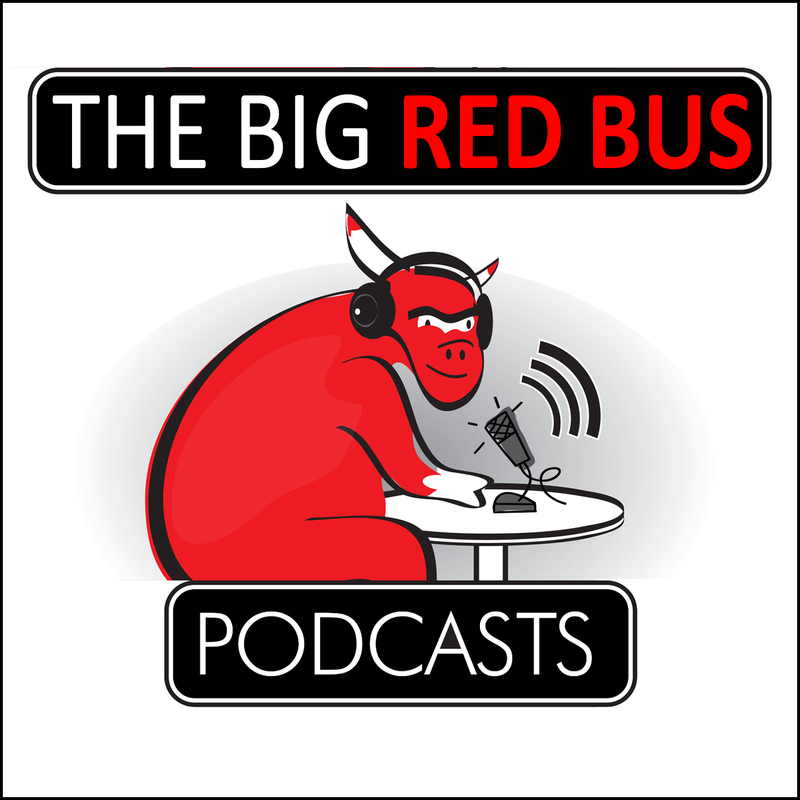 See Red Fred @cbefred and Podcasting Legend Doug Thonus @doug_thonus welcome their first passenger on the Big Red Bus, Australia’s Mark Karantzoulis @mkhoops, for a lively discussion on the dying Tank. They also debate about how good this team can be, and a variety of other topics, before Doug and Mark jump off the moving bus at 35 mph. See Red Fred @cbefred & Podcasting Legend Doug Thonus @doug_thonus discuss the ongoing tank, and the disturbing trend of the Big 3 performing below expectations together. See Red Fred @cbefred & Keith Frantz @BullScripted discuss the continuing tank and some new rising prospects. Special Guest Keith Frantz @BullScripted joins the show to discuss the Bulls win vs. Timberwolves & the Bulls loss vs. the Wizards. Keith also provides his analysis of Draft Prospects likely to be available with the Pelicans pick. See Red Fred moderates. Keith Frantz @BullScripted joins the show to discuss the downward turn for the Beloved Bulls, and the growing strength of the Tank. The Niko trade is also revisited, and potential destinations for the remaining Bulls are contemplated.